By itself, this is 5/8 worth of stats, 4/4 of which has lifelink. 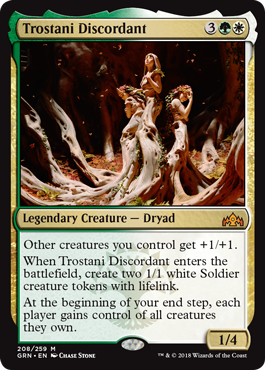 This being in Selesnya, it rarely shows up by itself, making it an incredible amount of stats for its cost. It trades well against removal, and every now and then you’ll just blow out a Dimir opponent who stole one of your creatures.